Hey there Arizona cyclists, the new 2010 Mundo V3 is now available at Tucson’s Ordinary Bike Shop. Stop by for a test ride and find out for yourself why the Mundo is the hottest cargo bike on the market. Help support Tucson’s No. 1 bike shop and lower your auto expenses by picking up a Mundo. 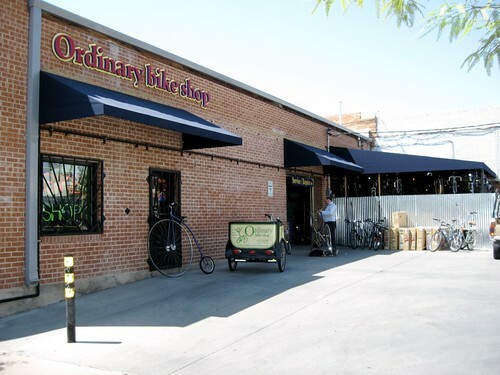 Ordinary Bike Shop also has accessories including the 85-liter Go-Getter panniers that allow you to pick up a week’s worth of grocieries without having to drive your car to the supermarket. © 2019 Yuba Electric Cargo Bikes.